The Rupees 2 Train Ride! 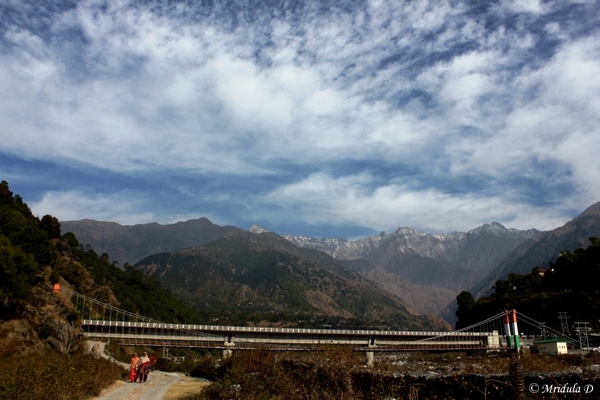 In December I visited Palampur and the adjoining areas. 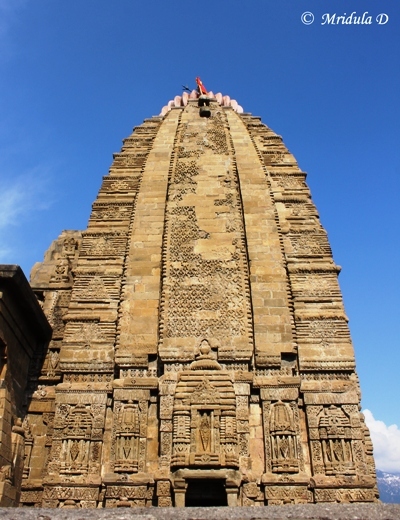 One such stop was Baijnath temple. I went there by a local bus which covered the 15 kilometers or so in one and a half hours. It was a fun ride. The bus would stop at every turn to pick up or drop a passenger. The temple was peaceful on the day I went there. Though photographing it was difficult as it has a boundary wall and a lot of light poles which completely destroy the pictures. After a short while I decided to head back to Palampur. As Baijnath is a small town I decided to have food at Palampur itself. 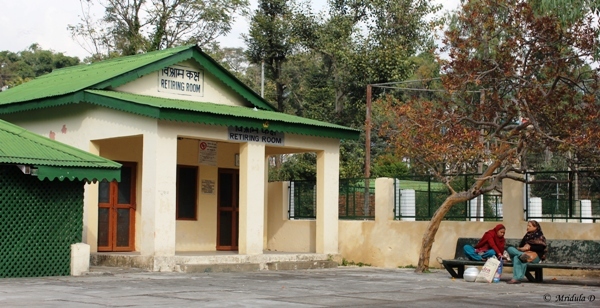 However while going back I was interested in boarding the narrow gauge toy train from Baijnath Paprola to Palampur. I asked about the directions and a furit vendor told me to take a bus from Baijnath up to Paprola as the railway station was there. I did as told and got down at Paprola which was just 2 km away. There once again I asked around for directions. I was told to climb down the stairs at the market and I would end up at the station itself. After getting down the steps I reached the station and it was fun. Though I stood out like anything among the locals with my SLR, no one bothered me really. The day was cloudy which I did not like at all, it takes away so much from the view and pictures. When I inquired about the ticket they said it is available 20 minutes before the train time. So the ticket window would open only then. 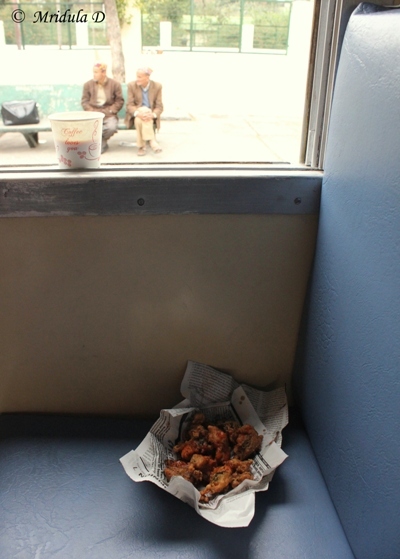 After spending quite some time at the station including some at the lone tea shop, I realized that the ticket window was open. So I went there and stood in the queue. 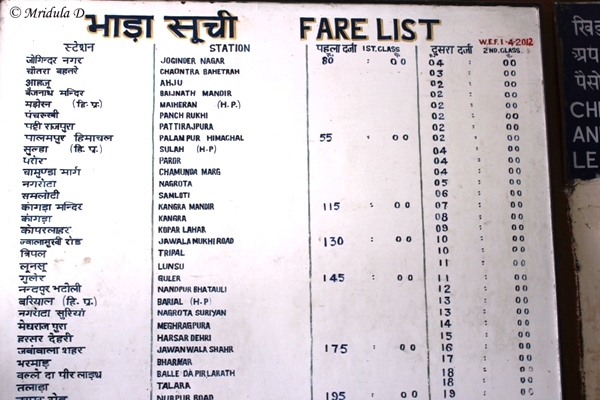 And I was so surprised to find that the ticket from Baijnath to Palampur was Rupees 2! After buying the ticket I went to the tea shop again to get some pakori and chai. And then I settled down for the journey. There was a coach in the train that was for ladies only! The journey was short and peaceful. I didn’t get much of a view because of the clouds. But I would always do this again even on a cloudy day, even when it would rain! 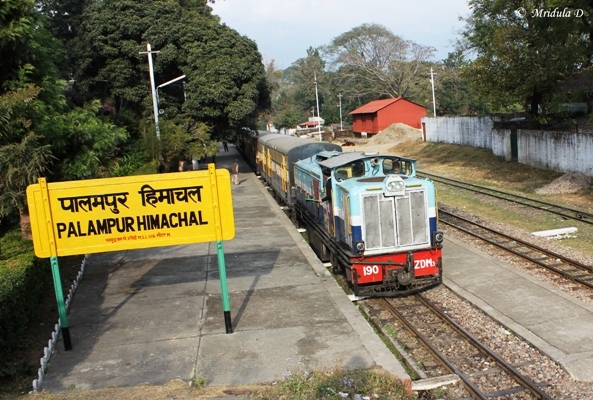 When I got down at Palampur I ran up to the front of the platform as I wanted to click a picture of the departing train. The people in the engine asked me if I was making a documentary film! I told them I was just a tourist who liked to take pictures. 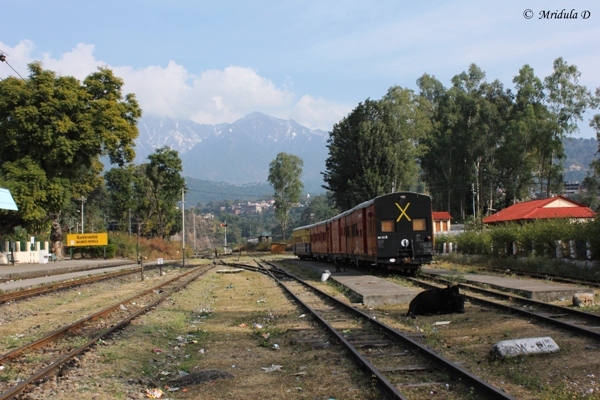 Palampur Railway Station is a little far away (4-5 km) from the city. I got out from the railway station and after crossing the road I waited for a bus that would take me back to Palampur and food. So this is how my Rupees 2 train adventure went! This was the day sky at Palampur. The view was beautiful as we were walking back from the Deer Park at Palampur in Himachal Pradesh. My view was that Palampur itself has such rich vegetation, why do we really need a Deer Park? The local friend who took me there was of the view that the locals need recreational spaces hence the park was a good idea. This is one of the few times when I have managed to capture white clouds with some beauty. Otherwise I chase the sunset or the sunrise more for their rich colors. This post is part of a fabulous community called Sky Watch Friday. Enjoy your weekend. This was on my last day at Palampur. I had come back from Sobha Singh’s Art Gallery at Andretta. Andretta is really in middle of nowhere! The day was cloudy otherwise the views would have been beautiful. Whatever I saw was even through mist was grand. I got back just in time to pack and head to the bus station to get back home. But even while packing I could not resist the evening colors that were gracing the sky. So I took a few hurried shots, cursing all the while the electric wires that were in the way! I eventually cropped those wires out from this picture. 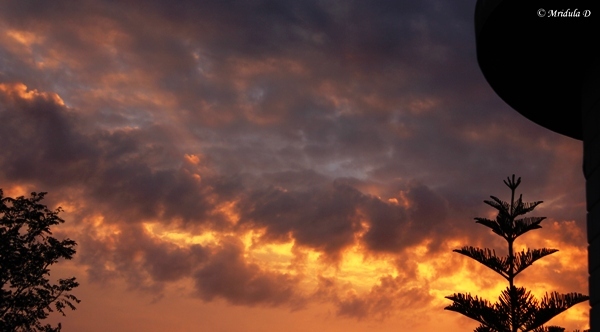 This post is for Sky Watch Friday, the ace community of sky watchers.